Whatever crack the anti-Dutertes think is happening is only a part of their hallucination. This is the sentiment of foreign relations expert Jun Avelino over the “misplaced” celebration of the opposition after a series of political exodus within the Partido Demokratiko Pilipino–Lakas ng Bayan (PDP-Laban) partylist. Avelino explicitly mentioned two reasons why former House Speaker Pantaleon Alvarez’s removal is only a sign of a stronger and more supported President Rodrigo Duterte administration. Firstly, Alvarez’s Speakership was transferred to a fellow PDP-Laban member, and even a more committed and loyal member at that, in the person of Pampanga Representative Gloria Macapagal-Arroyo. Secondly, the transfer of some PDP-Laban members is not onto the Liberal Party (LP) or the Rebels, but to another pro-Duterte partylist headed by the presidential daughter no less. 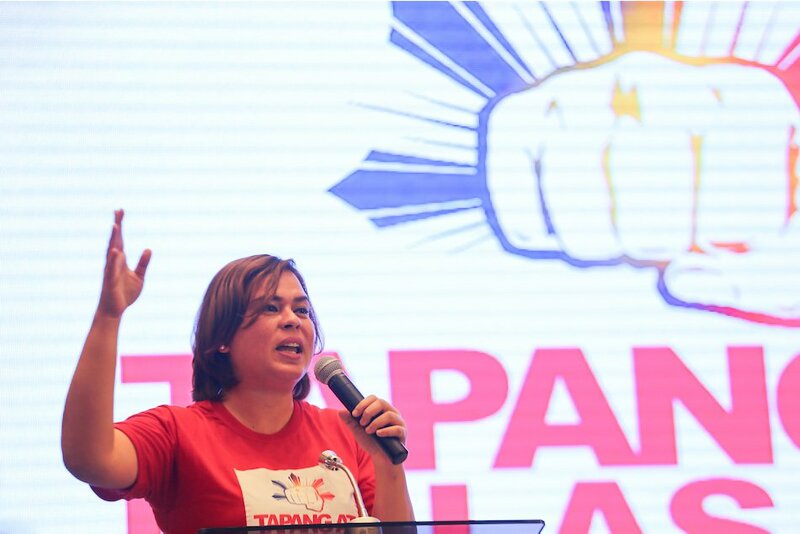 While the numbers in the LP and Reds have remained, and even dwindled, the Hugpong ng Pagbabago (HNP) chaired by Davao City Mayor Sara Duterte-Carpiois growing in numbers. 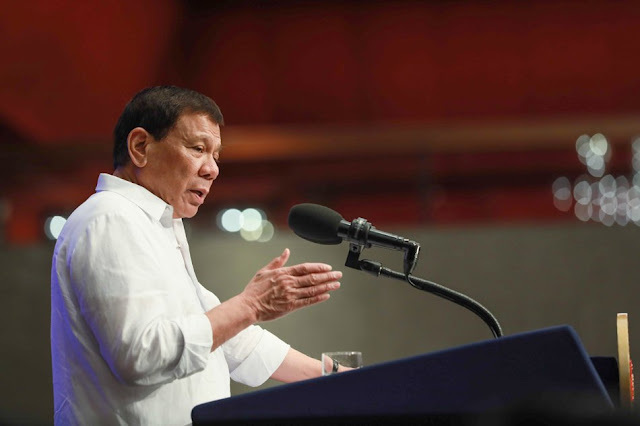 “Being a regional group, it can enter into alliances with other political organizations not only within Region XI but also with other areas, thereby expanding the mass base of support to the administration of Duterte,” Avelino explained. Through the interests and mobilization of HNP, the ground movement for a governmental shift to Federalism and sustained support for the President remains intact and stable. “What makes the idea of HNP palatable is its regional scope and nature of being a flexible political aggrupation created by the people from the region as the stakeholders and ran by themselves and their own leaders…” Avelino furthered. PDP-Laban is an “exclusive unit” that is bound by ideology, which Avelino opines cannot successfully carry through all of Duterte’s legislative agenda because it is not rooted in the support of the masses. HNP, on the other hand, is evidently in line with Federalism shift that even by itself it is a regional partylist. “It is more of preparing the region’s consciousness on the complexities of regional politics and governance such that when the new constitution is adopted either in 2019 or 2022, the people are equipped with the needed absorptive capacity to accommodate the gargantuan tasks of implementing a federal state government with much eagerness and excitement instead of anxieties,” Avelino reasoned. There is no crack in the support for Duterte. Instead, it is fortifying itself from the grassroots up, and this is all through the presidential daughter’s “political genius” by changing the way politics is done. 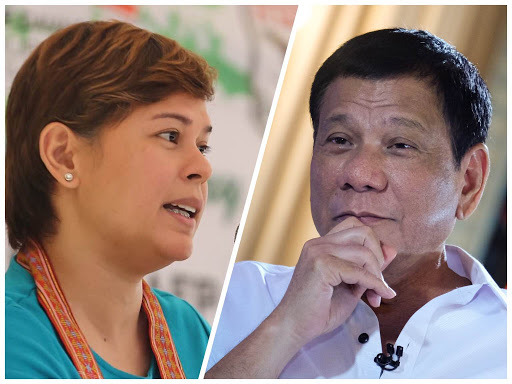 Anti-Dutertards were jumping into jubilation upon seeing the perceived crack within the support base of Duterte with the ousting of Alvarez as Speaker and the impending exodus of PDP Laban members as a result thereof to the HNP of Mayor Sara Duterte. However, I find their celebration as misplaced and an empty one. First, it should be noted that the Congressmen replaced Alvarez, a PDP-Laban stalwart with another PDP Laban prominent figure in the person of GMA as Speaker because of the influence she wields over politicians which is important in advancing the legislative agenda of Duterte, particularly that of Federalism which she has already committed to support. The Speakership was therefore neither transferred to an independent congressman nor to a member of the minority which would have justified the jubilant mode on their faces. Sorry yellowish and reddish folks, it is a false alarm. Second, the impending exodus of PDP Laban members is just a mass transfer to another group which is also supporting President Duterte, the HNP which was founded by his daughter, Mayor Sara to accommodate those individuals and groups who want to support this administration but do not subscribe to the idea of joining the PDP Laban as a party. Being a regional group, it can enter into alliances with other political organizations not only within Region XI but also with other areas, thereby expanding the mass base of support to the administration of Duterte. Therefore, the crack within the solid public support for Duterte is only within the hallucinating minds of the Anti Dutertards. And since the transfer of PDP Laban members is not with the Liberal Party or the reds, there is no reason for them to be jubilant about it because their number did not increase at all. In fact, while these political intramurals were going on, the anti Dutertards are mere spectators in the sideline, an indication that clearly, they are not a force to reckon with in the country’s current political landscape. There is a huge positive impact of this political shake up within the groups supporting Duterte which is, in fact, beneficial for the PDP Laban as a political party. In the case of the Duterte administration, what transpired will strengthen and expand its reach to people while rationalizing the operational strategy and direction of the support base through coalition building and alliances with various political organizations both regional and national levels. We have to understand that the PDP Laban is a progressive political party with an ideology which positions itself within the left of center (moderate left) of the Philippine political spectrum. As a political ideological party, the nature of its membership is supposed to be selective and not mass-base. Before you become a member, you need to go through the stringent process of recruitment and then series of training activities including immersion to understand and live with the ideals of the party and what it espouses for the Filipino people. There have been massive membership oath taking activities being organized for the PDP Laban by the thousand members lately, and with this, it is facing the risk of losing its nature as an ideological political organization. With the membership and training requirements being set aside to accommodate members, its operations have now become more of a mass base oriented and no longer ideological in nature. Hence, we can only understand the lukewarm position of Koko Pimentel upon hearing of the reported exodus of the PDP Laban politicians to HNP as he believes that it will give the Party the much needed reprieve and avoid its eventual transformation to become a mass base organization. If we compare it with the structure of the communist movement in this country, the PDP Laban is supposed to serve as the “politboru”, an exclusive unit within the movement in charge of charting the direction of the country based on its ideological programs including command and control on the whole gamut of governance with Digong on top. Sadly, from the looks of it, the party seemed to have failed in playing that role and hence, the internal squabbling they are facing now. Of course, Alvarez’ trapo antics have aggravated to the mess. It is therefore viewed that the anticipated exodus will help the party revitalize itself by shielding it off from the entry of politicians on accommodation basis and not on ideological consideration, and henceforth, it can effectively work on providing the needed political and ideological support to the government’s program which are basically anchored on those of the Party’s. But PDP Laban party alone cannot bring success to the government of Duterte. It has to get the backing of the people through the establishment of a mass base support consisting of various politicians, organizations, alliances, coalitions who profess their support to the programs of the government. And this support groups cannot effectively operate within the organizational set up of an ideological party like PDP Laban. Therefore, HNP is a timely creation and should be viewed not as a rival of the PDP Laban but more of an initiative that complements the efforts of the Party in making sure that the programs of the Duterte government are implemented with the optimum support possible that can be extracted from the masses. With its current successes and the strength it has exhibited in Region XI and how its creation is being welcomed in various parts of the country, I will not be surprised if very soon, HNPs will mushroom in different parts and regions of the country including Visayas and Luzon islands. What makes the idea of HNP palatable is its regional scope and nature of being a flexible political aggrupation created by the people from the region as the stakeholders and ran by themselves and their own leaders in contrast to the idea of a national political party or political organization where the leaders are the elites from the Imperial Manila who know nothing about their sentiments and use only the regional folks for the advancement of their own political agenda and self-aggrandizement. Indeed, this is putting premium on the importance of the regional voice in determining the political landscape of the country which has long been monopolized by national traditional political parties controlled by trapos and their oligarch patrons to protect and advance their own vested selfish interests. Wait! Did I say, regional voice? That’s it folks. The most interesting rationale behind the creation of the HNP is that it foreruns the advent of Federalism in our country. It is more of preparing the region’s consciousness on the complexities of regional politics and governance such that when the new constitution is adopted either in 2019 or 2022, the people are equipped with the needed absorptive capacity to accommodate the gargantuan tasks of implementing a federal state government with much eagerness and excitement instead of anxieties. By stirring the regional politics, people will be encouraged to engage in governance and form their own political parties to promote and advance their regional interests, thus shying away from the clutches of national political manipulations of Manila politics which is one of the important features of what Federalism means – self-governance and self-determination sans any national political influence. Certainly, Mayor Sara’s political brilliance and acumen have now come to the fore with the launching of the HNP. At first, the initiative appeared divisive and self-serving. But looking at the impact of the initiative and where it is heading to, any political science observer will be amazed at the political genius behind the person who hatched it. Surely, it will be devastating to the national political parties who will be constrained to go down to the regions to forge alliances in order to win at the national level. She is definitely changing the manner by which politics is being played in this country by turning the whole system upside down, thus, giving more power to regional structure and cutting off the imposing influence of the Imperial Manila politics. Mayor Sara’s initiative is to support her father’s political agenda and for federalism to succeed which is shared by the people who support Duterte. The anticipated success of her organizational initiative in tandem with PDP Laban and her clout over both the regional and national politics will transform her image as a formidable force to reckon with in 2022 Presidential elections. Although she has expressed of no intention from inheriting the post of her father, with the stature she has now and the influence she wields, Anti-Dutertards will certainly move heaven and earth to start attacking her and rip her off politically. This is the reason why it will not be good for the Mayor to run for the Senate in 2019 elections. Winning is not a problem. But being in the Senate will give her detractors and would-be rivals the opportunity to slay her politically as soon as she sets her foot in the halls of the Senate until she is ruined before 2022. By confining herself in Davao City, her political glitter will continue to shine with good governance as her ultimate shield from any desperate political attacks, and her influence over regional politics will be undeterred from reverberating across the country. Such that, in a free-for-all scenario when all Presidential contenders do kill each other politically as has been the practice, to the disgust of the public, we have one alternative option left for the people to consider – a lady Mayor who has the balls to scratch when needed and the fist she loves to use in smacking the destructive face of the country’s traditional politics which has caused the country’s stagnation both politically and economically for decades now. After all, when she gets to the bridge, how can she refuse if the people themselves will push her to cross that bridge with the masses marching with her across? .. Praktis lang po. I wonder how the yellows and the reds will feel about this but certainly, this is the kind of politics which they lacked. The Mayor did not rest on her laurels despite the comfort of the high ratings of her father. She continued to reach out to the masses to expand further the base of support to Duterte’s governance because after all, politics is really a multiplication – not only addition.